If your Samsung washer issues the 5E code (it looks like SE on the display), so there is a water draining problem. For the further appliance operating it is necessary to find out the causes of fault. Also, you should know how to eliminate failure. Washers without a display show the error by a combination. The 40°C indicator lights up and all the modes lamps blink. What does the error code mean? Why does it occur? The 5E error in the Samsung washing machine is a common situation. In most cases, solving the problem doesn’t require the involvement of professionals. If you have an old model, don’t mistake the drain error with the E5 code. This one means a problem with the heating element. The pump responsible for the drain has broken. 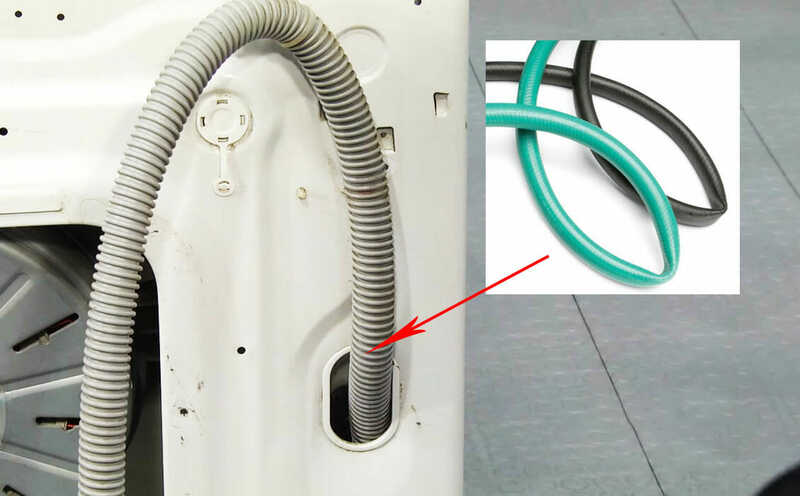 When the washer shows the 5E error, find out why water draining is impossible. 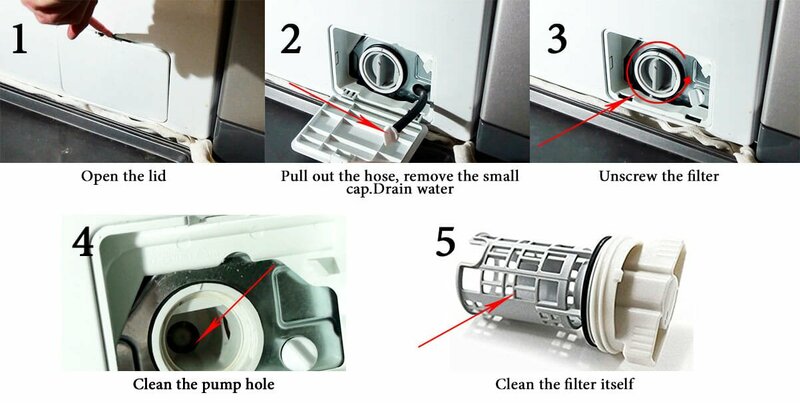 Only then you will remove the error and resume the normal operation of the washing machine. Carefully check the drain filter and hose. Flatten it in case of bending. After that, the washer should drain water as usual. But if this doesn’t help, and there is the 5E error code again, then do the next. Check if there is any clog in the sewage system. 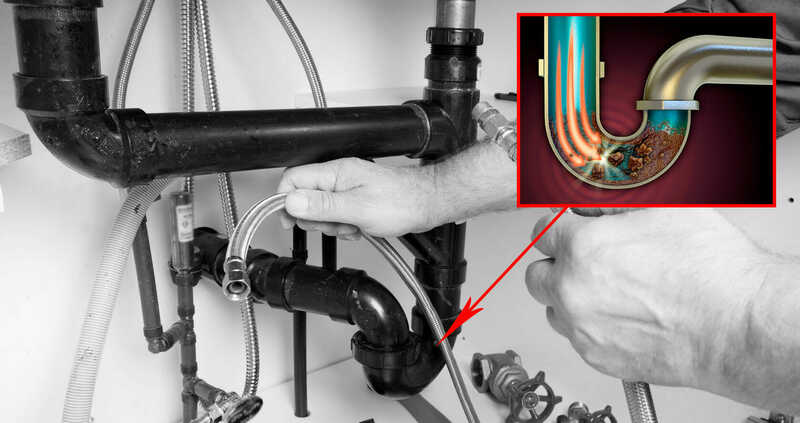 Also, inspect the drain hose for bending and any blockages inside. Perhaps there is just the control unit glitch. So, you need to turn off the appliance, and then turn it on again after 5-10 minutes. The machine reset helps to cope with random electronics failures. Bend and unbend the hose during rinsing to remove all dirt. If the 5E error occurs, this may be due to a large amount of dirt and debris in the sewer pipe. The signal for this is water that doesn’t drain not only from the washing machine but also through the sink. Clean the drain with wire curved at the end. When do you need to call a specialist? Damage to the wiring between the drain pump and the controller. In this case, restore the fault location or completely change the wires. If the machine shows the 5E code on the display, you can eliminate the malfunction cause yourself. But in the case of a serious breakdown, you need the help of a professional.